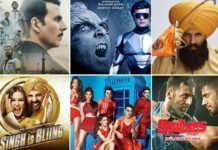 Entertainment first weekend Box Office Collection : Entertainment registered a good jump on Sunday. 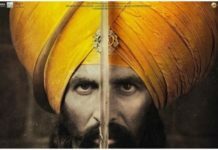 The movie raked in 14 crores on Sunday, thus becomes the eighth highest opening weekend grosser of 2014 with first weekend Box Office collection of 36.69 crores. Entertainment has a decent first weekend at Box Office with opening weekend collection stands at 36.69 crores. It can be considered as good figures as the expectations were not that good from the movie. Its only the star power and fan following of Akshay Kumar that worked in its favor. After a decent start at Box Office this Friday, movie showed a good jump on Sunday thanks to festivities of Raksha Bandhan. The movie raked in 14 crores on Sunday, thus becomes the eighth highest opening weekend grosser of 2014 beating Humpty Sharma Ki Dulhania opening weekend collection of 33.7 crores. Well, Entertainment Box Office fate now totally rely on weekdays. The movie has only four days to work at Box Office as we have Singham Returns slated for release on 15 Aug 2014. Singham Returns is one of the most anticipated movies of this year and its release will surely hurt Entertainment at Box Office. See : Singham Returns Box Theatrical Trailer. Stay filmy and keep visiting Blog to Bollywood for more Bollywood updates and bakar.